So THIS happened! I have been so busy moving this week and having connectivity issues that I couldn’t get onto www.carlarjenkins.com . I am thankful for all of my readers because my Alexa number is now 1,085,000! 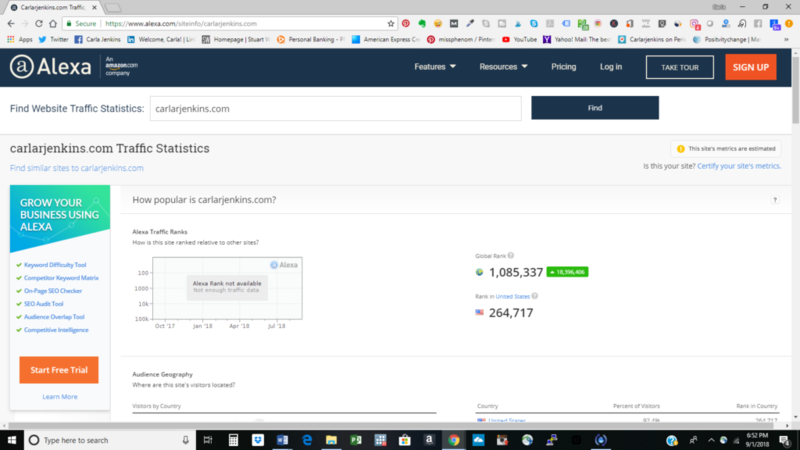 This is completely unbelievable because all I have ever wanted to do is as a business blogger and certified project management is empower people with the right information. Seeing this information, I feel like I have excelled!